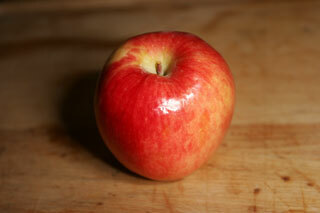 Crisp, chilled apples in season are a great complement to any of the jumbo shrimp and prawn wok recipes. Currently in season at the time of this writing here are Ambrosia Apples which this year are incredibly crisp and juicy (they were great last year as well). We'll cut them into big chunks and serve them alongside our jumbo shrimp recipes regularly as long as they are still in season.